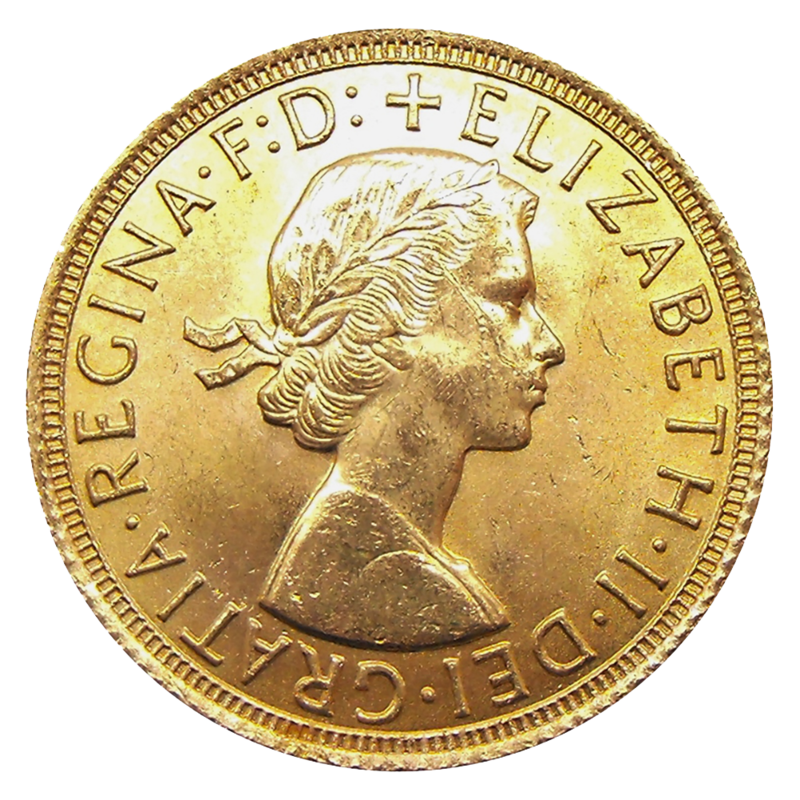 Elizabeth II became Queen in 1952, however Sovereign minting did not resume until 1957. The Queen faces to the right on these coins. 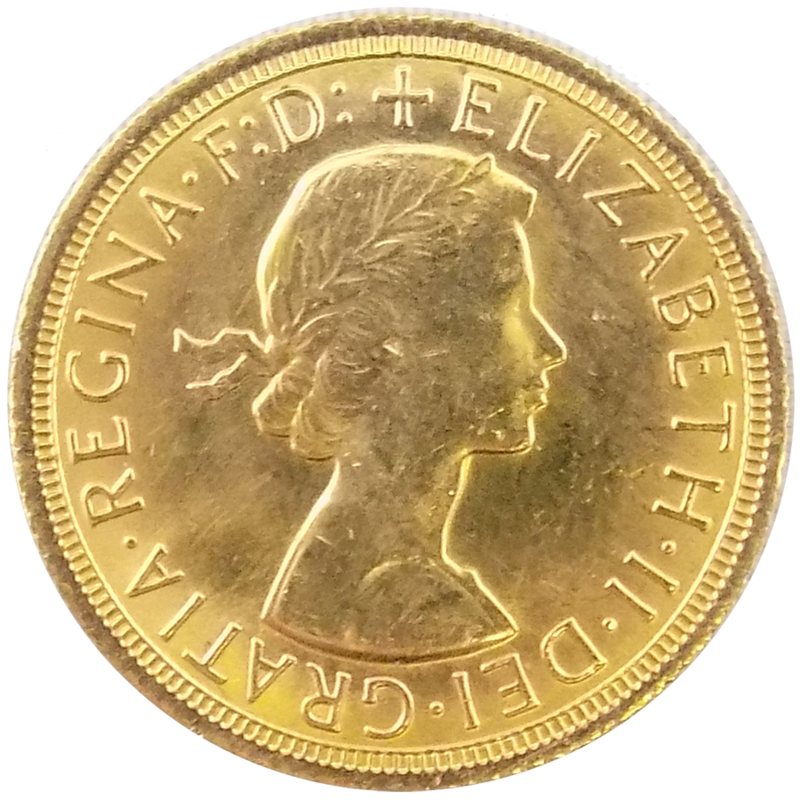 Commonly referred to as the ‘young head’ or ‘pre-decimal’, coins were produced from 1957 up to 1968, with exception to 1960 and 1961, these year-dates were not minted. 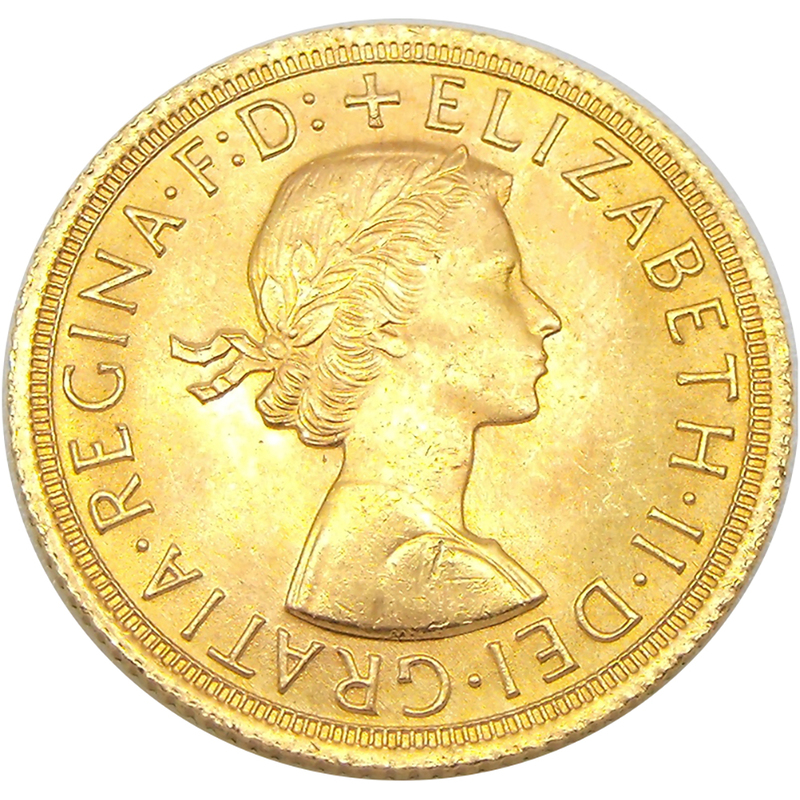 The first portrait is the only coin that does not show the Queen wearing a crown. 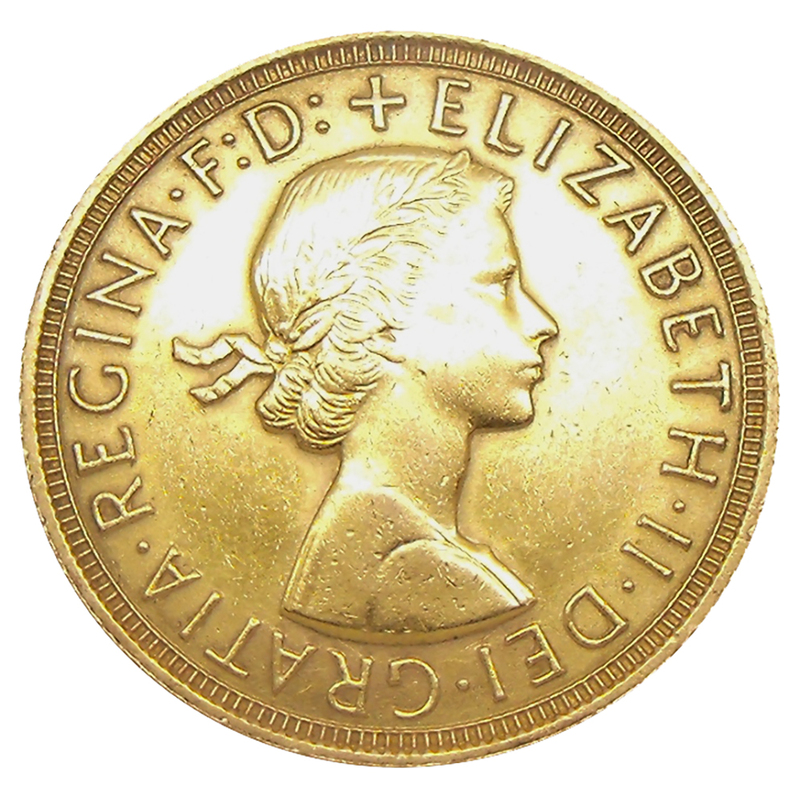 The edge of the coin reads ‘DEI GRATIA REGINA’. This is a short Latin inscription, which translates to 'By the Grace of God, Queen'. Coins were only produced at Tower Hill in London, as all overseas branches had closed. 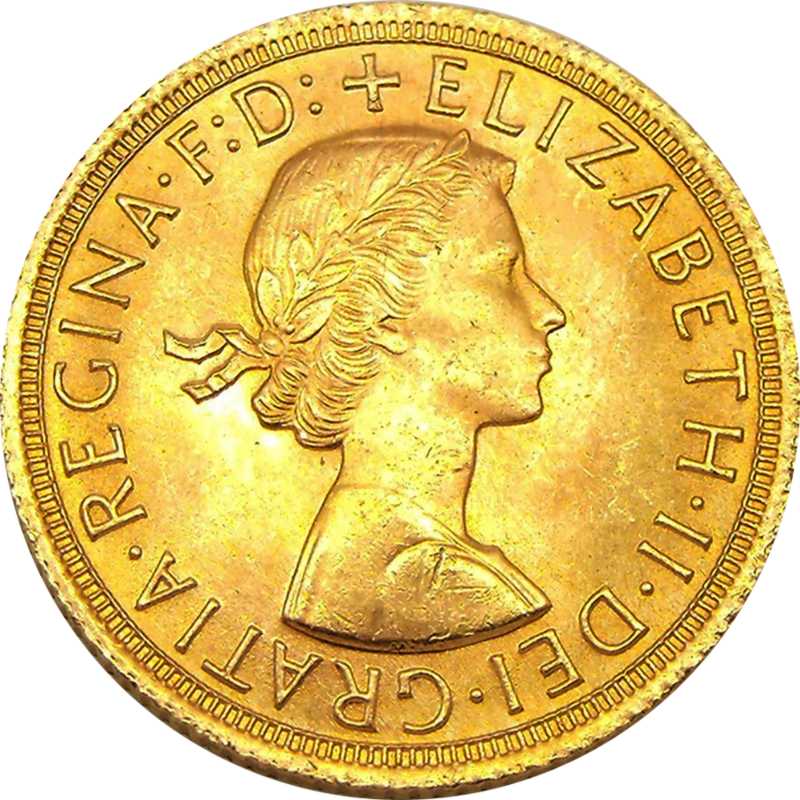 None of the sovereigns produced were used in general circulation.